Poppyprint: Poppyprint in Print Take 2 + a giveaway! Poppyprint in Print Take 2 + a giveaway! Phew! I'm back. Sorry to keep you hanging for a couple of extra days, but the weather was just too gorgeous to come home and our lovely hosts welcomed us to stay on at their little piece of paradise (photos soon). If we had come home as scheduled, we wouldn't have sighted a juvenile grey whale 20m from the boat!! Ok, here's my news. Remember back here, when I was all excited to have my first ever magazine article published? Well, now I've had my first ever original PATTERN published!! I wasn't sure when the Fall 2010 issue of Quilter's Connection Magazine would be out...apparently subscribers (like me) all got theirs last week. Mine arrived just moments before we were leaving for our last summer hurrah, so I haven't even had a chance to read the whole thing yet. There was no way I was taking it with me to get sunscreen, sand and wineglass rings all over it! D kindly snapped this totally staged shot of me 'reading' my pattern this morning. 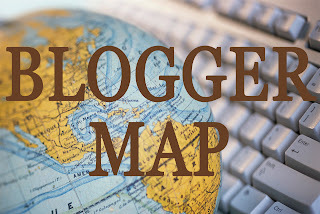 I have to thank Heather, the wonderful publisher of Quilter's Connection (Canada's very own quilting magazine) for the opportunity to share my work. I love this wall hanging pattern that is a breeze to sew up for your wall, a door, or for a coffeetable runner. The leaves are woolfelt applique's (I love mixing cotton and wool). It could be done with any type of leaf outline (oak? ginko?) and even green/blue colours in the 25-patches for a spring look. If you've been perusing Poppyprint for a while, you may remember that I initially designed this quilt for last year's Autumn Swap on the Quilting Gallery blog. I have a spare copy of the magazine that I'd love to share with you! 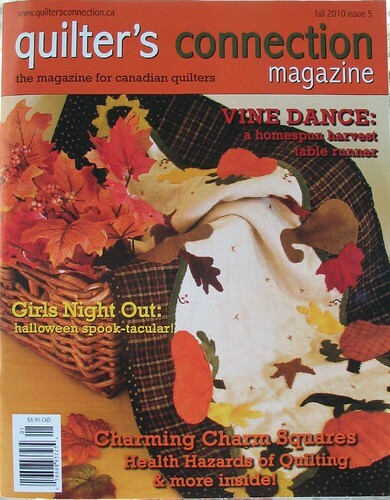 It's full of fantastic patterns and articles by Canadian quilters - I know you'll love it! Leave me a comment and tell me your favourite thing about autumn for an entry. I'll close the comments on Monday, September 6th at 10:00 p.m. Pacific Time and then use the RNG to find the winner and let you know on Tuesday. If you are an anonymous lurker or a no-reply blogger, make sure that you leave an email address in your comment so I can notify you! Congratulations! Your wallhanging looks very nice and true fall! Love it. Would be so great to win a copy of this magazine! Thanks for the chance! It means that the slow season is almost here! - knowing Jay will have normal hours soon! My favourite thing about Autumn is the crisp air, with a little bit of a chill. I love the smell of Autumn - wood fires, the drying leaves, etc. My best friend and I always looked forward to the cooling weather so could wear our new sweaters. Autumn was so much nicer on the East coast than here in Alberta! You know...just in case you pick me. YAY YAY YAY! I am so happy for you! Congrats. My favorite thing about fall is that winter is next. But I also like your standards, you know, jackets, homemade pie, hot soup, the turning leaves... but mostly I'm holding out for snow! Congratulations!! My favourite things about Fall were all listed by Rachel: crisp cool air, the smell of wood fires, crunchy leaves that fall after turning their brilliant colours. That whole leaf-turning thing is one of the only things I miss about living in Ontario. Congratulations on having your quilt pattern published! Would love to see the magazine. My favorite thing about Fall is the fresh apples from the orchards. Congratulations again! I hope I get to see that lovely magazine and your pattern in person. tomato sandwiches every day! thanks for the chance to win. CONGRATULATIONS!! I just knew that you would hit it big time one of these days!! Couldn't happen to better or nicer quilter!! The best thing about Fall is picking up all the Fall Quilting Magazines...especially this Fall's Quilter's Connection!! Take care and hope you celebrate in style..RATS...too early to roll in leaves! That a girl! I'm surprise they didn't discover you ages ago! I'm so very very proud of you!!! Bravo! The fall brings our town "Pumpkin Parade" full of craziness. The courthouse lawn is transformed into an ocean of decorated pumpkins, the store windows are painted, a huge parade, and of course, craft shows! Congrats Krista - that's super-awesome! Hmmm, let's see...my favourite thing about autumn is being able to wear sweaters and boots agin! Oh, and ya, autumn also means my birthday - woot! Ah, thanks for the kind words, Krista! 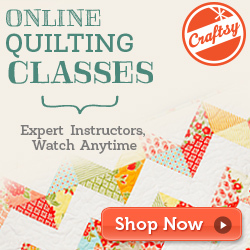 And thank you for sharing your wonderful pattern with us, and with quilters across the country! BTW, my favourite part of Autumn is my BD! But I don't think I need a copy of the magazine - I already have one, or two, or oh, maybe a hundred! Oh I'm so excited for you - congratulations! My favorite thing about autumn is when we have nice warm, sunny days, with the sun filtering through the trees when they've changed color, and nice cool evenings to sleep soundly! Congrats, Krista. 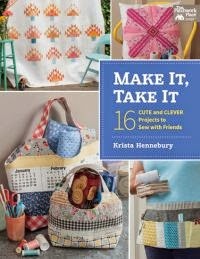 It is so exciting to 'know' someone who is a published quilt pattern author. Well done. Hmmm...my favourite thing about fall is the beautiful yellow leaves on the trees. Well done Krista!!! How exciting for you!!! Did you get all butterflies when you saw the parcel in the mail? I bet you did! :) Favourite thing about autumn? Tricky question as we don't really have autumn in this part of Australia! Its either hot or VERY hot! LOL The tree's all keep their leaves so we miss out on all those beautiful colours. How neat!!! Favorite autumn thing would have to be the comfort food cooking and good company. I love the holidays. Congratulations on getting your pattern published!! My favorite thing about Autumn is getting into my kayak when the lake is like glass and enjoying the fall colors along the shoreline. It's not too hot and I can just spend hours on the lake. Congratulations on a published pattern. My favorite part of autumn is the changing colors of the leaves. Even though it is so very hot, some of the leaves are turning burgundy. Congratulations! Given that autumn in Adelaide is sadly bereft of the glorious colours I love, I'd have to say my favourite thing about it is that sometime during autumn, the horrible hot weather eventually stops. My favorite thing is PUMPKINS!! Congratulations, Krista! Must feel great. I love the cooler air and "Back to School" - with a teacher husband (now retired), it always signaled a new year and back to routines. And our Fall Fair - the Cowichan Exhibition. Love it! Congratulations! I like the smell, feel and colors of fall. Hey congratulations Krista!!!!! And please please add me to the draw. My favourite thing about fall? Well our fall starts early here in the Yukon, and I just love those mornings when I take the dogs out. The air is so crisp and you can feel winter coming. The smell is amazing, a hint of woodsmoke in the air, the crackle of the dryness in the trees. It's the best time of the year next to Christmas eve. My favourite thing about autumn is the warm days and cool nights. My favorite thing about Autumn is sweet grapes. Thanks for the chance to win! Congratulations on being published! Fantastic! I love the colours of the leaves and the low sun in autumn. Wow, congratulations Krista! What a year for publishing huh? It's a great looking pattern, how exciting for you. I have so many favorite things about Autumn, it's my favorite time of year. The change in the air, the cooler temps, the colors, the scents, wood fires, baking...I can't pick just one. How cool! You must be really chuffed. My favourite things about autumn are the smell of wood smoke and the sounds of dry leaves rustling and feeling nice and cosy in a warm house when its getting dark and cold outside. But I prefer summer! I LOVE AUTUMN'S GLORIOUS DISPLAY OF COLORED FOLIAGE WITH THE COOL DAYS! Congratulations, Krista, how exciting!! 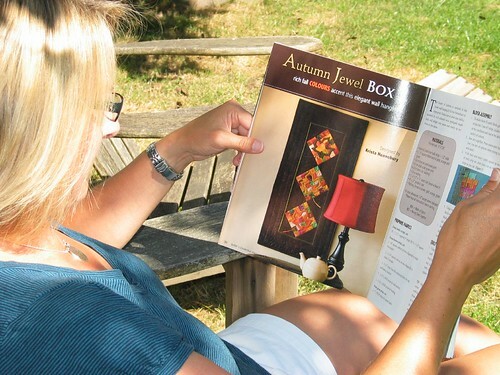 Of course I would love the chance to win a copy of the magazine with your pattern in it! Congrats my friend!!! Just the beginning of pattern publising for you I bet. My fave part of fall aside from crisp sunny days and the special smell that fall air has, is Thanksgiving and most especially Thanksgiving dinner with friends and family around me. That truly is the best part of October!!! Congratulations and a beautiful pattern, too! I L-O-V-E autumn because it means an end to a long, hot summer - there is a wonderful breeze blowing and the trees turn all those beautiful shades of orange and red. I love nesting - getting my home ready for the cooler weather, cooking soups and chili and especially having more time for quilting! Thanks for the great giveaway! My favorite things about autumn is the colours and change in weather. I really like, it's getting cooler. 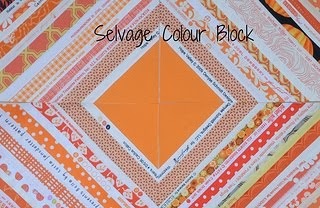 Would love a copy of our Canadian Quilt Magazine. Thank you for the opportunity to see for myself. Fall brings along fresh crisp air and lovely colours. Congratulations on the pattern in the magazine. I got my copy while you were away and before you posted about it. It is a great pattern and I plan to put in on my "TDWIR" list -- To Do When I Retire List"
Congrats! I love the fall - love taking walks and looking at all the colors and sipping coffee.